It is important to keep the air in your home clean. Not only is clean air beneficial to your health, but it also creates a pleasant atmosphere indoors. However, even if you don’t smoke, you can still have contaminated air in your home or office. Take your air ducts, for example. When your ducts are in good shape, they function just fine. But once they get seriously dirty, your air ducts will lose their functionality and become a detriment to your health and your home environment. Your air ducts help transfer air from one end of the house to the other. If ever your ducts get dirty, dust, grime, and other substances will get caught in the air and spread all over your home. These will cause breathing problems for people who suffer from asthma and allergies. But did you know that there are other things besides dust and dirt that can damage your air ducts? An unkept air duct also becomes a perfect habitat for mold, mildew, vermin, and insects. When these organisms and critters invade your home, getting them out will prove to be very difficult. What’s more, their presence damages your HVAC system and weakens the structure of your home. Cleaning out your air duct is not as simple as you might think because it involves reaching dark, narrow spaces within your walls. Plus, without the proper professional cleaning equipment, you won’t be able to fully clean your ducts. So if your air ducts need to be cleaned, your best option is to contact BEST Cleaning & Disaster Restoration Services. 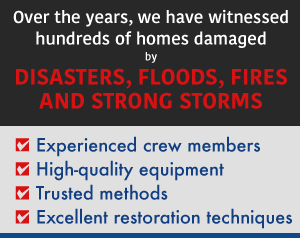 BEST Cleaning & Disaster Restoration Services, Inc. offers fast, reliable, and safe services to ensure that your ducts are cleaned the right way. We’ll make sure that even the hard-to-reach corners of your air ducts are left dirt-free and spotless. Once we are done cleaning your air ducts, your home’s air quality will immediately improve. 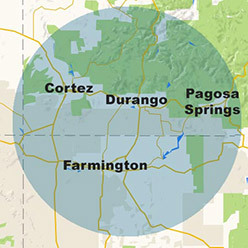 Our company has worked on countless air ducts in the Four Corners Region (in Cortez, Durango, Farmington, and Pagosa Springs). 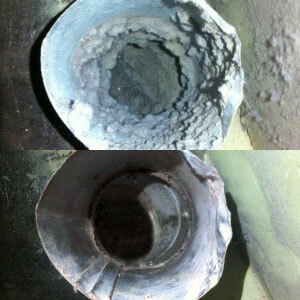 If you are interested in our duct cleaning service, give us a call at 970-235-9151. We offer professional air duct cleaning services to both commercial and residential properties in our service area, and you can reach our customer service department 24/7 for emergency response.